My name is Chris Thayer, I am the managing partner of Pivotal Law Group. I’ve been handling personal injury cases for over 15 years now. When a new client comes into our office, typically it’s several months out from some bad experience, a car accident and they’re starting to feel like they are getting taken advantage of by the insurance companies, and they realize that maybe they need to talk to a lawyer. I think that one of my greatest strengths is that I am a good story teller. It means that I help by working very closely with my clients in understanding what their problems are, what their experiences are, and making sure that we communicate that in the most effective way so that we can be persuasive with the insurance companies, with the jury and really just making sure that the client’s message gets across. I will be helping you from the beginning to the end of the process. You won’t be stuck talking to my paralegal, you will be able to talk to me. I care about my clients, and certainly one of the things that I think I bring to the table is the compassion, and the empathy and we’re a team together, helping you understand what we need to do, what the end goal is, and helping you achieve the best possible result. Additionally, there are instances when a person is hurt, yet there is no one legally at fault. 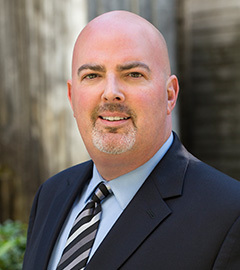 It takes an experienced and knowledgeable Seattle personal injury attorney such as Chris Thayer to determine the difference, and where there is liability, maximize the recovery for the injured party. The Use of Experts: A Seattle personal injury lawyer must have the resources necessary to provide his client with the best possible representation. First and foremost, it is essential for the injured party to receive the proper medical diagnosis and treatment. Often this requires a specialist. Secondly, the issue of liability can be difficult to prove. For instance, a products liability case may involve the testimony of an expert witness to understand and explain how the product was defective. The Insurance Company: Almost all personal injury cases, whether automobile accidents, slip and falls, product liability or other claims based on negligence, inevitably involve an insurance company. As the insurer for the defendant, the insurance company will push for a quick settlement for a low dollar amount. Mr. Thayer understands it often takes time to fully realize the extent of injuries and aggressively seeks full and complete compensation for all of his clients’ damages. Where no reasonable settlement can be reached, Mr. Thayer will litigate the case to achieve justice. Contact a Seattle Personal Injury Lawyer for Legal Advice. If you or a loved one has been injured by the negligence of another, you need a strong advocate in your corner. Call Chris Thayer at (206) 340-2008.